Mother’s Day is fast approaching and sometimes it’s hard to know what to get that special lady in your life. Cheapeats.ie and Milano are here to help by giving you the opportunity to treat that someone special in your life to a delicious meal for two in Milano to the value of €100. 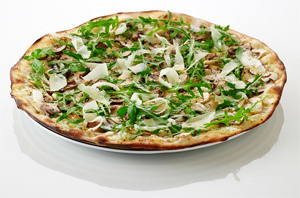 Milano’s have a fantastic selection of pizzas and now thanks to the recently launched Spring menu, an array of sumptuous low calorie, gluten free and vegan friendly dishes with something for everyone! Mums are always so busy looking after everyone else, so why not treat your Mum this Mother’s Day compliments of Cheapeats.ie and Milano? The competition closes at 1pm on Friday 28th March. The winner will be contacted so that delivery of the prize can be arranged. If you enter, please keep an eye on your email at Friday lunchtime!